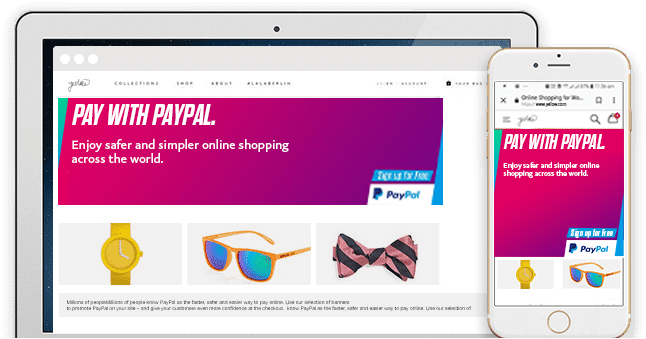 Attract more customers with PayPal’s offer of 50% cashback* up to Rs. 200. For banners that you can use on your website or emailers, download the Business Toolkit. You can also scroll down this page to get the PayPal logo on your checkout page. How can your consumers avail of and check their awarded cashback? Customer Signs up for a PayPal account and pays you with PayPal to be eligible for receiving cashback. Logs in to their PayPal account, goes to Payment Methods and finds their cashback voucher under Saved Offers. 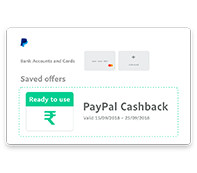 Your customers will be shown the amount mentioned on their cashback voucher the next time they pay you or any other Indian merchant accepting PayPal. Let your consumers pay you faster and safer with PayPal. 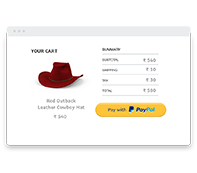 Choose from any of the below options to present PayPal as a payment option on your checkout page. Over 260 million customers across the globe choose PayPal as the preferred payment method. Hence presenting PayPal at the top of the checkout page increases chances of conversion. When will your customer receive the cashback? If your customer is eligible for receiving cashback, it will be added into their PayPal account. Just in case, if they have still not received it, they can always look out for cashback under the ‘Offers’ tab on the PayPal App or under the Payment Methods section on the website. Please note that cashback will be processed 5 days after successful transaction date. How can customers use their cashback? How long do the customers have to redeem the cashback? Is it possible to transfer the cashback to another user? What happens if the purchase value is less than the PayPal cashback in the account? 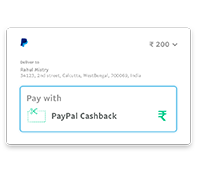 Can the PayPal cashback be returned if the underlying transaction (transaction on which cashback is redeemed) is cancelled?